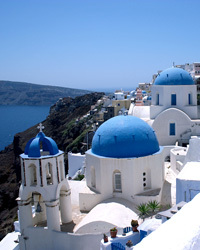 Greek white wines may be more consistent, but the best Greek reds are fantastic. Here are nine terrific bottles. The Pavlou Estate in the Amyndeon region focuses on Xinomavro, the great red grape of northern Greece. (The winery even creates an intriguing white blend from it by crushing the grapes, then immediately discarding the skins.) This 100-percent-Xinomavro bottling shows off the variety’s distinctive dried-cherry flavors and streamlined tannic structure. Yiannis Boutaris founded Kir-Yianni in 1997 after leaving Boutari, the company his grandfather founded in 1879. Since then, Kir-Yianni has become one of Greece’s top producers on the strength of wines such as this peppery Xinomavro blend, distinguished by its juicy cherry-berry flavors. 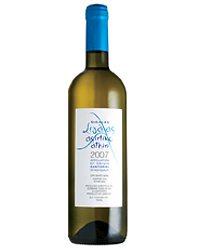 Located in a narrow valley in the northern Greek region of Drama, the small, ambitious Pavlidis Estate creates a focused range of top-quality wines from hand-harvested grapes. 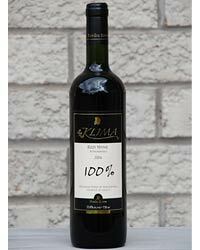 This violet-hued blend of Syrah and Agiorgitiko combines peppery, gamey aromas with rich black-fruit flavors. George Skouras, this estate’s owner and winemaker, was among the first in Greece to blend international and local grape varieties. This bottling, which is largely old-vine St. George (an alternate name for Agiorgitiko) with about 20 percent Cabernet Sauvignon, has bright berry fruit with a note of blackberry liqueur. Yiannis Tselepos, one of the central figures of the Greek wine renaissance, started his Peloponnesian winery in 1989 after studying enology in Dijon, France, and working for several years in Burgundy. Known for his graceful Moscofilero white, he also makes this smoky, elegant red, full of black-currant fruit. This voluptuous, rosemary-scented Agiorgitiko, lush with potent black-cherry fruit, comes from fourth-generation proprietor—as well as first-generation winemaker—George Palivos. For this high-end bottling, grapes from a single vineyard Palivos owns high in the Neméa valley receive lengthy aging in French oak. Somehow, though, the oak notes don’t dominate the flavors of the wine.